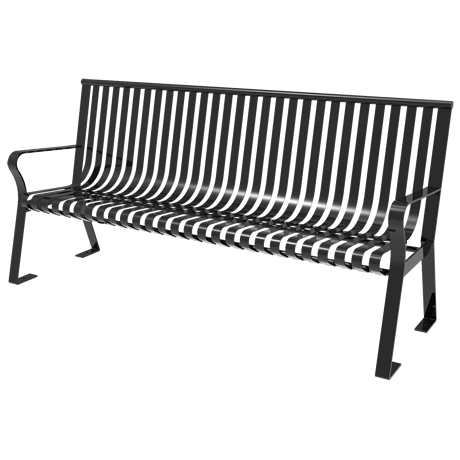 Create a long lasting impression with a classical styled, powder coated metal park bench. 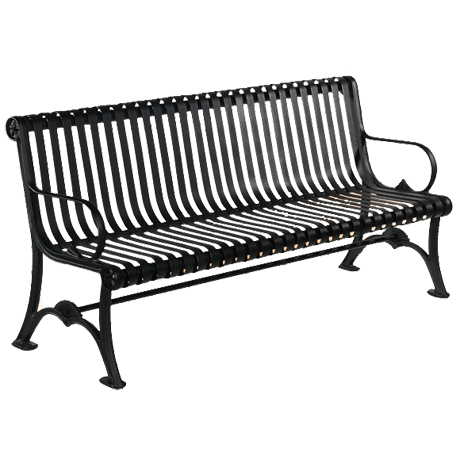 These durable and maintenance free outdoor benches are constructed in the U.S.A from solid steel. Designed and welded for durable commercial use, a solid piece od steel furniture is fabricated. 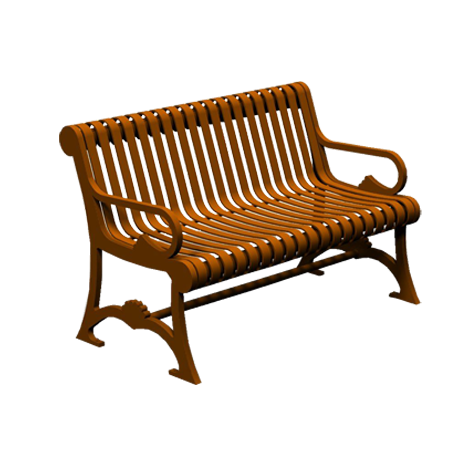 Before the decorative powder coating finish is applied, each park bench is sandblasted to remove any imperfections, leaving a smooth flawless surface. The sandblasting also etches the surface so that the "high zinc" primer will infuse with the metal. On top of the primer, a thick protective powder coat is baked. The colorful powder coating provides a visually pleasing and decorative finish while protecting the park benches against heavy use and harsh weather. Every nook and cranny of these steel benches is powder coated to ensure that they will win the battle against corrosion! Smooth, virtually invisible weld seams and vibrant colors add to the beauty of these indoor and outdoor benches. 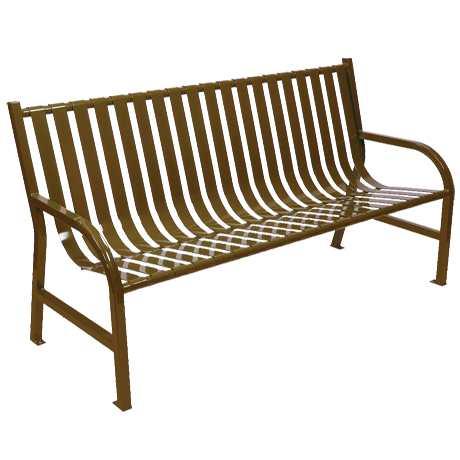 Available in a variety of sizes and colors, these metal park benches will certainly be an elegant addition to any outdoor area! Complement your steel bench with a matching metal trash receptacle. 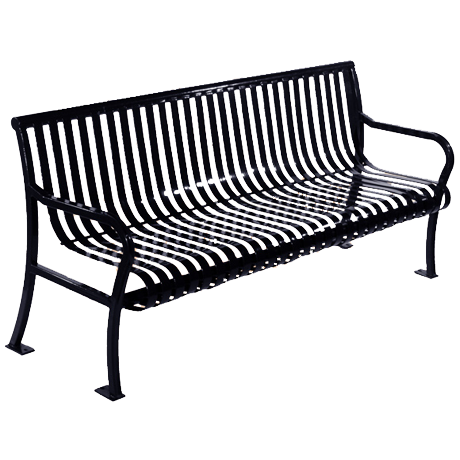 Call us and let our friendly sales staff help you choose the steel bench that is perfect for you!